Properties in Monaco cost $1 million for every 16 square metres. Where should the extremely wealthy buy homes if they only want to rub against the most stylishly tailored shoulders in the world? The answer is Monaco, if the 2018 Wealth Report from property firm Knight Frank is anything to go by. Properties in the principality cost $1 million for every 16 square metres. This compares to 25 square metres per million dollars in New York and a comparatively luxuriant 46 square metres in Paris. 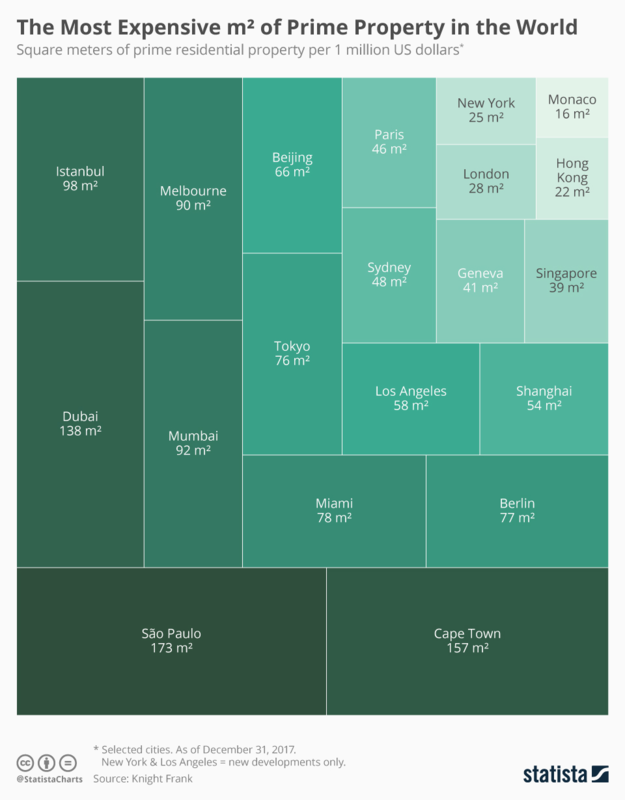 At the lower end of the spectrum, $1 million will get you 138 square metres in Dubai or 157 square metres in Cape Town. But for those who only want to mix with the extremely wealthy, then Monaco has one of the most dense ultra-rich populations on Earth. Knight Frank said that there are around 50 people worth over $50 million who have a primary residence in the principality. However, once the definition of “residence” is extended to include the extremely well-off who have a home or presence in Monaco, this number rises to 542. Meanwhile, New York had the highest population earning above $250,000, some 1.16 million people. The Big Apple was closely followed by eight other US cities, while London, in 10th spot, had 272,604 inhabitants earning above $250,000. How do property tax rises affect consumer spending?